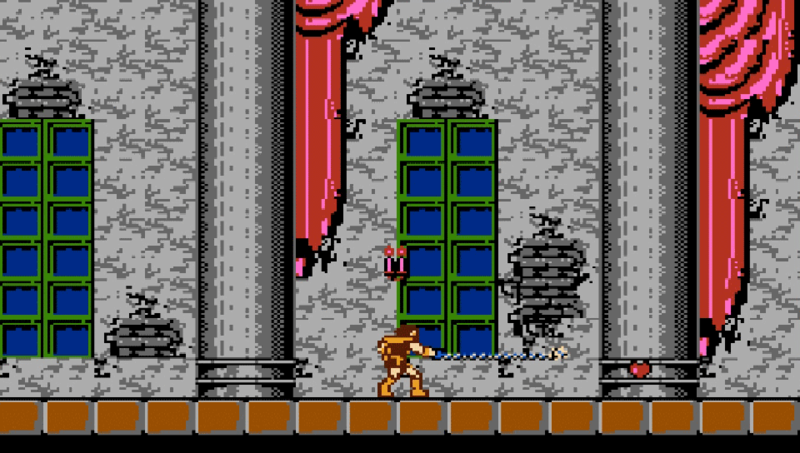 Castlevania is a side scrolling 2D action platformer. It was first released in Japan for the Famicom in 1987. But, North American gamers got a Nintendo version in 1988 and then in Europe in 1989. There are some rare arcade versions of the game but it is not known as an arcade title, it is remember as a NES game and the term “Nintendo Hard” could have created for just to describe this game. It is 1691 and Count Dracula's castle has risen again! Every 100 years this evil structure returns and Dracula does not come alone. The Mummy Man, the Phantom Bat, Queen Medusa, Frankenstein's monster, Igor and the Grim Reaper all return with him. You are Simon Belmont and he and the Belmont family are the only ones to have found a way to defeated Dracula and his minions. 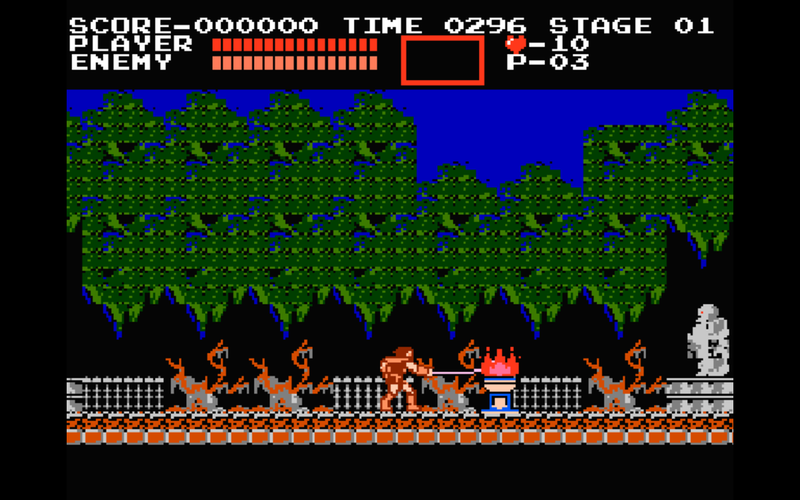 Castlevania was a must have if you had a Nintendo (NES). It has an old Hollywood feel and the are some influences from old movies in the creature design. The ending credits also pay homage to classic monster movies, like being written by Vram Stroker (Bram Stoker wrote the book Dracula). 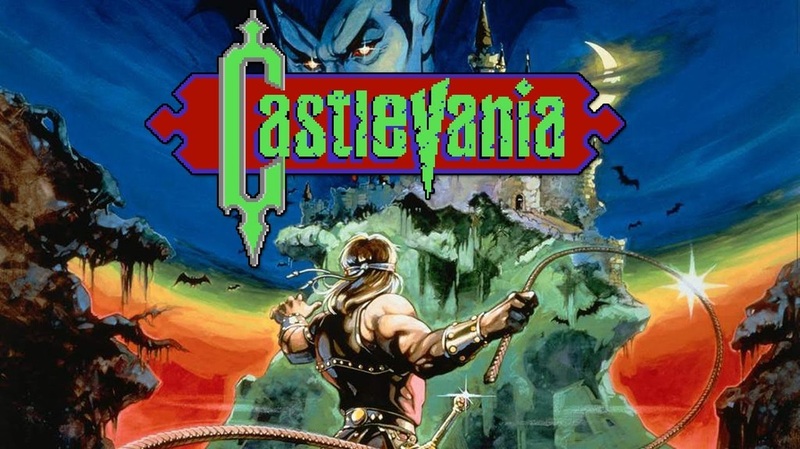 The story and classic monsters are all things we liked but Castlevania is unbelievably hard. The combat is simple you get a whip that can only be used left and right and there are hidden powers all over the place and edition weapons like holy water and knives but you get hit two or three times and then you are either dead are so close to death that it is hard to move forward. You carry no health so you can’t heal when you want to. You have to find it and it is hidden in secret areas. The biggest issue is the controls. Not being able to attack above and below you is a mess and the game is filled with too many one wrong moves and you fall to your death. This problem gets worse when you do get hit because you get thrown across the screen and off ledges and into water all the time. It took us between 1 and 2 hours to get through Castlevania. There is a lot of saving, dying, reloading save point happening. Thankfully you can save you game at any time thanks to Virtual Console. If not for this feature we would have hated Castlevania because each time you die you start back at the beginning of the level or only a little ways in. At $5.00 it is a bit pricey and it does not matter if you never played it before or if you had one of the original gray Nintendo cartridges you will feel like that is high. Under $3.00 is a better but good luck getting it at that price because it almost never goes on sale. We can only remember seeing it on sale one time.